Tour was good with an interesting itinerary. A lot of opportunities to try Korean food. Excellent service from the tour leader and local guide. Will return to Chan's World Holidays for another Holiday! Breakfast in hotels and is non Halal, other meals will be arranged in local tourist restaurant. In the event if Halal restaurants are not available, Korean Vegetarian or Seafood meals will be replaced as Halal certified restaurants are only available in Seoul city vicinity. Domestic flights may not be immediate connection & subject to airline final confirmation. Mosque visits are strictly subject to weather and road conditions and may not coincide with prayer timing. Prayer rooms are available in Petite France, Everland and Incheon International airport. Tour include visit to Ginseng Showroom, Cosmetic Shop, Bo Kan Yeong Showroom, Amethyst Factory and Korean Grocery Shop. Assemble at Singapore Changi Airport for your flight to Incheon. 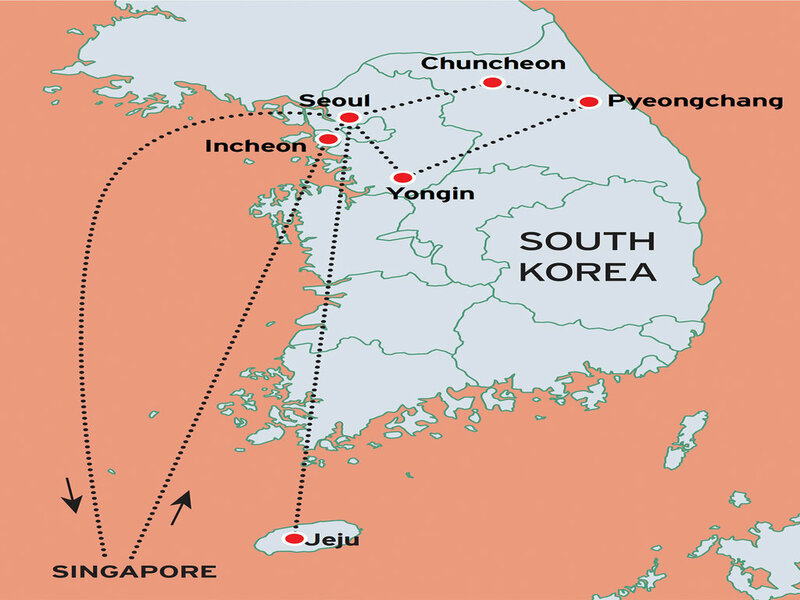 Today, embark on a tour of Seoul, the capital of South Korea. Drive past Cheong Wa Dae, the South Korean president’s official residence. Proceed to Gyeongbok Palace, the largest and arguably grandest palace during the Joseon Dynasty. 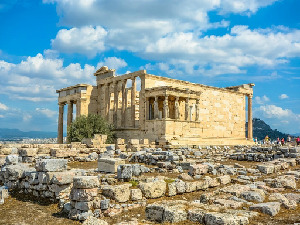 Roam its stately grounds, delve into its storied past and imagine what it might have been like centuries ago. Fans of history and culture will also get to explore the National Folk Museum of Korea which is located within the grounds of Gyeongbok Palace. Thereafter, proceed for your domestic flight to Jeju. Later, proceed to Yongduam Rock, also known as Dragon’s Head Rock, where its shape resembles that of a roaring dragon rising from the sea into the sky. Thereafter, experience a unique gravitydefying illusion at Mysterious Road as you seemingly roll up the hill with your vehicle’s engine turned off. Next, enjoy “Nanta” show, Korea’s most popular nonverbal perfomance integrating rhythmical dance movements, drums and percussions and comedy. After breakfast, start your adventure with a visit to Seongsan Ilchulbong Peak, a UNESCO World Heritage Site. 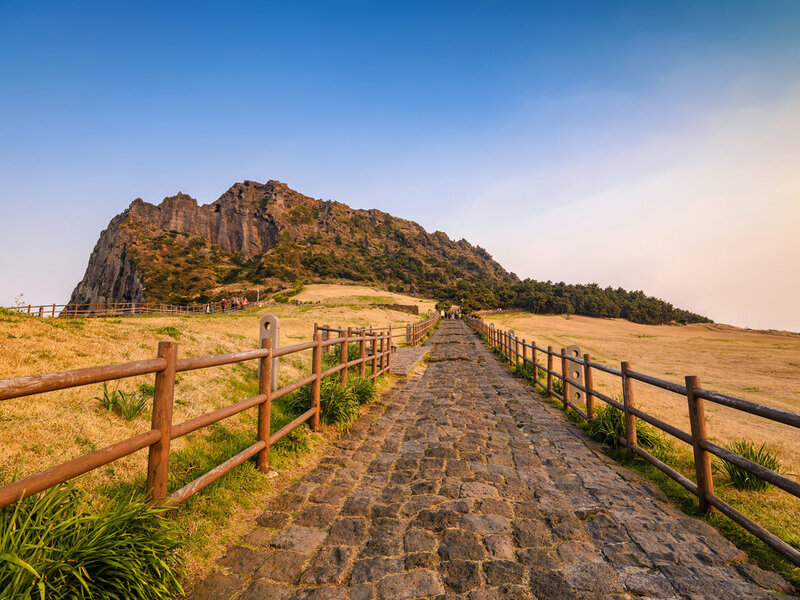 Perched on the eastern top of Jeju and formed more than 100,000 years ago, this peak features a volcanic crater surrounded by sharp and jagged rocks. Next, learn about the island’s unique folk culture at Seongeup Folk Village. Explore the village’s black lave rock walls, curvy alleys which were purposefully paved to block the strong winds, and Harubang, the stone grandfather statues, and other intangible cultural assets of this charming village. Thereafter, make your way to the coast of Seopjikoji, the filming site of the popular Korean drama “Jewel in the Palace”. Take a moment to enjoy the beautiful scenery and surround yourself in the romantic environment where a prominent Dutch windmill is perched on a lakeside cliff overlooking the Pacific Ocean. This charming scene shows up frequently in numerous popular Korean dramas. Later, proceed to Trick Art Museum, the 1st museum in Korea to showcase optical illusion art. Enjoy taking photographs and interacting with the art here by making all sorts of poses. You will also get to have fun in the Ice Museum. Ride down the rides made of ice and get hands-on while making you own ice cup or salad bowl. Next, visit Teseum Safari, one of the 1st few museums in the world to showcase all sorts of teddy bears in adorable poses. End your evening with a visit to a tangerine orchard, where you can learn how the famous fruit of Jeju is grown, harvested and made into chocalates, sweets and beverages. This morning, proceed for your domestic flight back to Seoul. 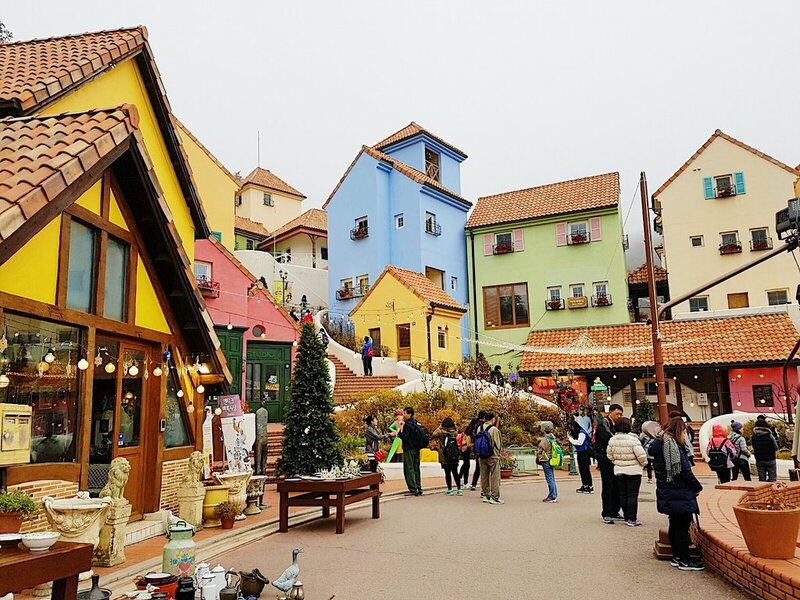 Upon arrival, make a visit to whimiscal Petite France, a French-inspired cultural village set in the Korean countryside. With a cluster of white european-style buildings and quaint shops offering French food and clothings, you can almost feel like you are in France. From here, you will be able to enjoy the beautiful scenery overlooking the lake of Cheongpyeong, which was featured in well-known Korean dramas such as “Secret Garden” and “Personal Taste”. Next, make your way to Chuncheon, where you will proceed to visit Nami Island. The highlight of the island is the picturesque and romantic tree path lined by evergreen pine trees, providing a visitors with plenty of photo opportunities. Next, continue on your journey and check in to Yongpyong Ski Resort. 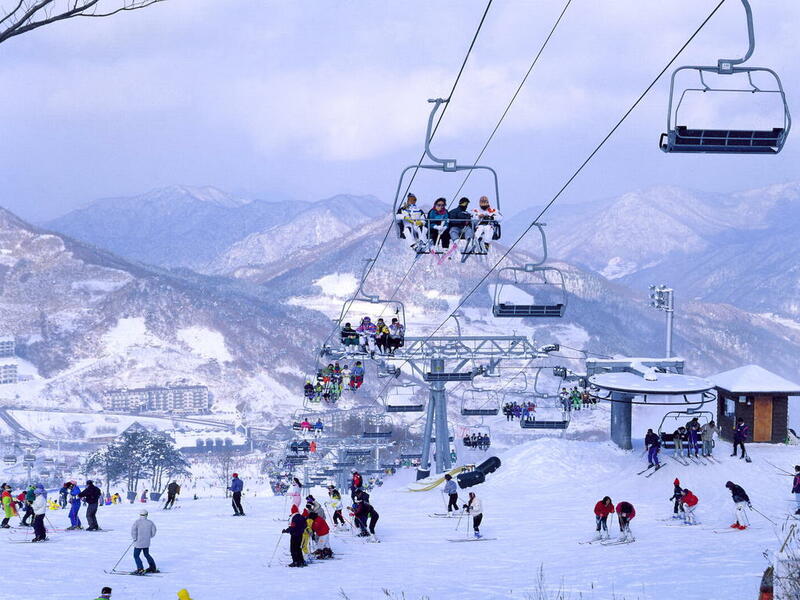 • If Yongpyong Ski Resort is unavailable, it will be replaced with Pheonix Park Ski Resort or another resort of a similar standard. Enjoy a full day of entertainment in the ski resort. Try your hands at skiing on one of my the many ski tracks in the resort or indulge yourself at Peak Island Spa where you can enjoy a variety of fun-filled facilities, spa and hot spring amenities. Located 700 metres above sea level, the resort’s wide array of ski facilities and spa amenities are suitable for all ages. 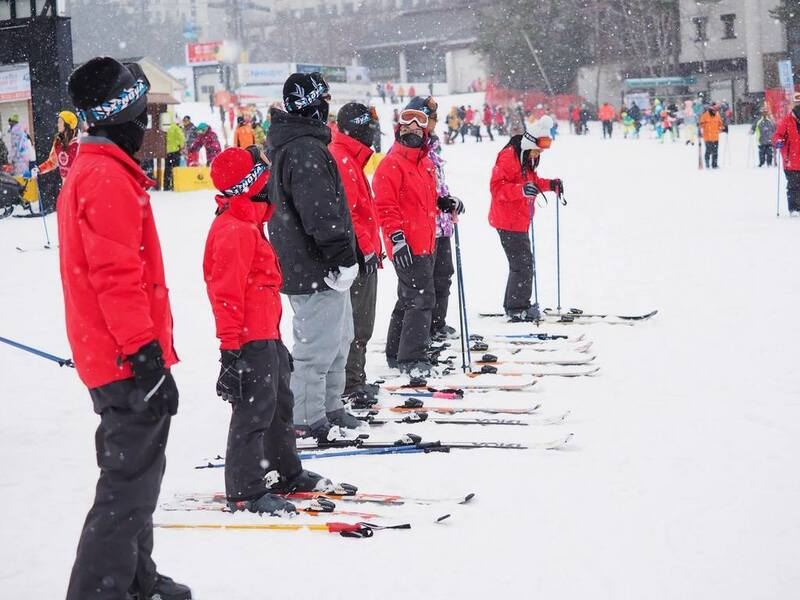 • Rental of ski suit (ski jacket and pants) and equipment (ski plates and poles) is included. • Ski goggles and gloves are available for rental and purchase at the resort at your own expense. • Please bring along your swimwear and swimming cap for the hot spring pool. Today, continue on your journey to Yongin. Visit Yongin MBC Dramia, a open studio set that has served as the filming location for hugely popular Korean historical dramas such as “Jumong”, “Isan” and “Dong Yi”. 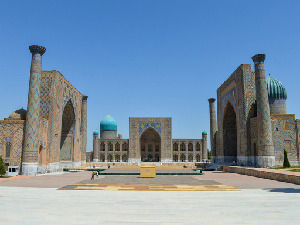 The venue consists of various traditional buildings such as palace structures and noble homes that were reproduced according to accurate historical records and actual models. 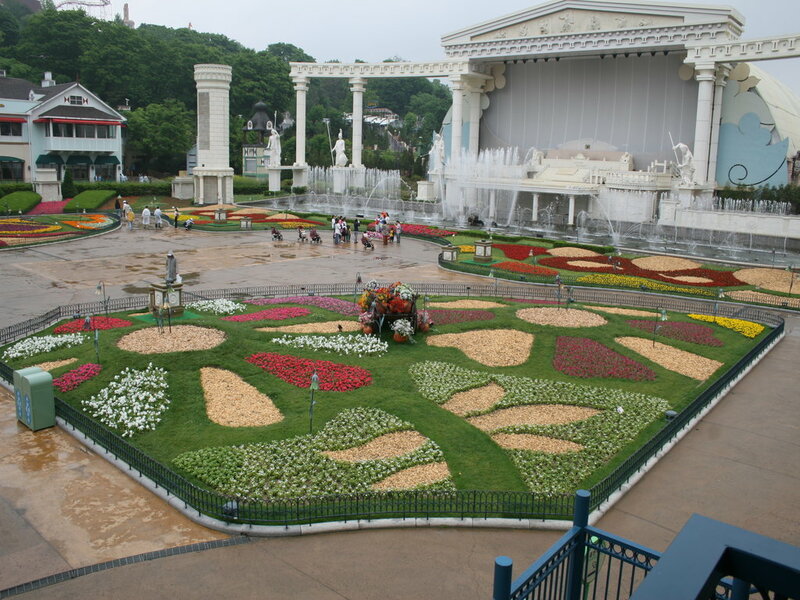 Next, make your way to Everland, South Korea’s largest theme park. Unleash your inner child with unlimited thrilling rides and be tickled by a galore of fun-filled entertainment. You can see ligers, white tigers, lions and bears up close and relax in the blooming beautiful gardens. This morning, participate in a DIY kimchi session. 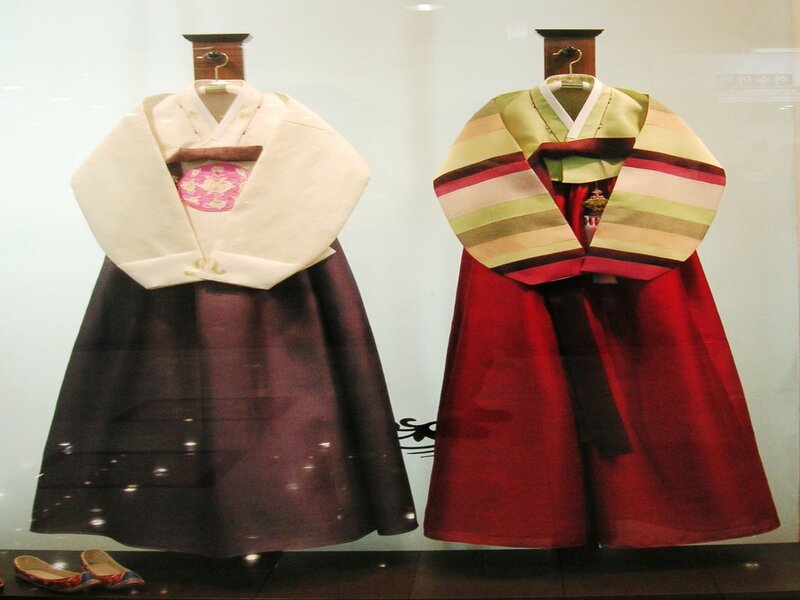 You will also be able to don the traditional Korean dress in a Hanbok dress-up session. 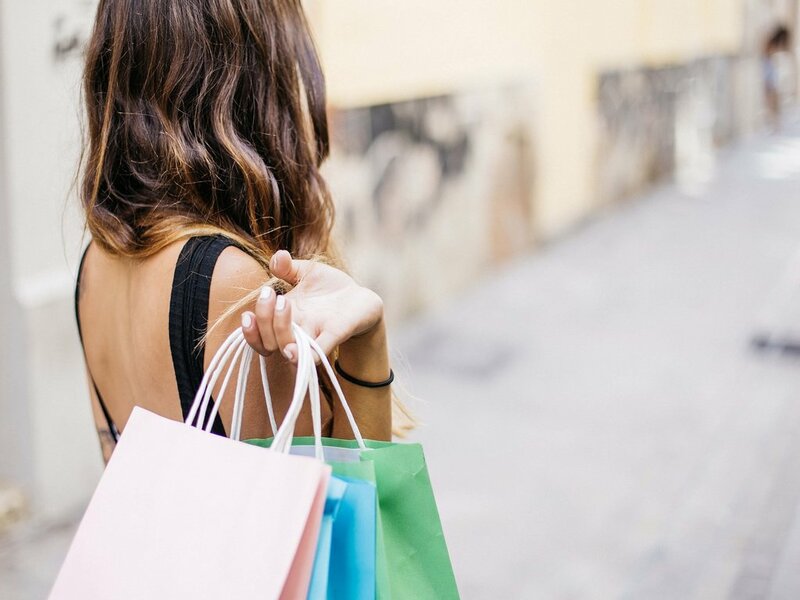 Indulge in a shopping extravaganza at Myeongdong and Dongdaemum Market. 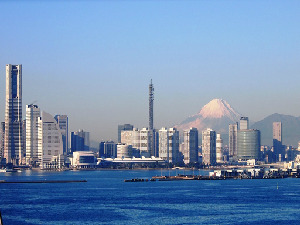 Later, proceed to a one-stop Korean cosmestic shop for a DIY skin care and demonstration session. You can also stock up on a large range of popular cosmetics and beauty products. 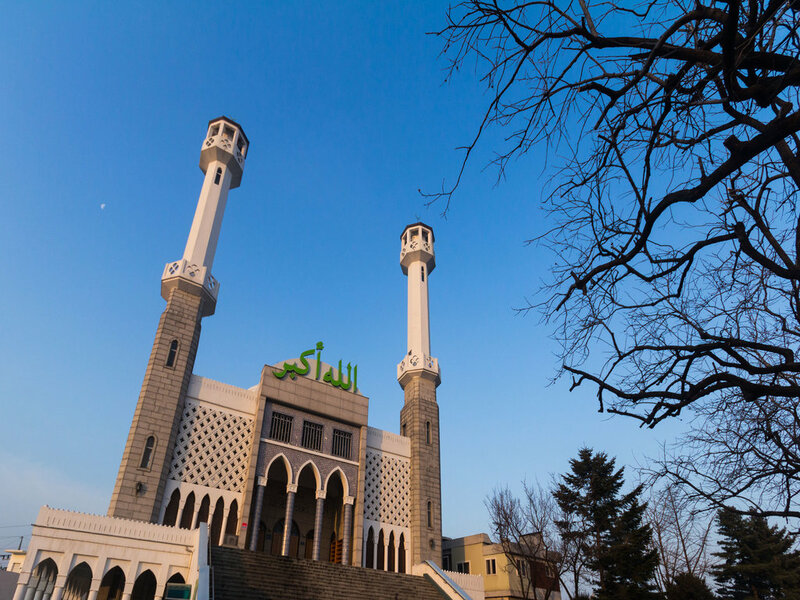 Head to the neighbourhood of Itaweon to visit Seoul Central Mosque, the 1st Islamic mosque in South Korea. Visit Ginseng Monopoly Showroom before proceeding to Lotte World to have fun in the world’s largest indoor theme park and indulge in unlimited rides. This morning, proceed to a healthy liver shop where you can shop for health products before visiting an amethyst factory. Head to Sinchon to grab some trendy togs at the popular retail district. Make a stop at a local produce shop to shop for popular Korean foodstuff before your transfer to the airport for your flight home. It was a memorable trip and certainly enjoyable.It was a memorable trip and certainly enjoyable. The tour leader had done a wonderful job. She was very hardworking, patient and took great care of all our needs. I truly enjoyed my trip and would certainly go back to Chan's World Holidays for future trips. Once again, thank you for your excellent service. My family and I are very satisfied with our tour guide. She is very concerned about all her people. As I have a 6 years old girl, she asked if I wanted something extra for my child when the meal served is spicy. She also helped a lot with another family travelling with an elderly. Always on her toes to help. Thank you very much. You made my family's first experience travelling in a group to be a memorable one. My family and I are very satisfied with our tour guide, Li Hwa. She is very concerned about all her people. As I have a 6 years old, she asked if I want something extra for my child when the meal served is spicy. She also helped a lot with another family with three elderly. Always on her toes to help. Thank you very much Li Hwa. You've made my family first experience travelling in group to be a memorable one. John, korean guide, was also helpful and caring. 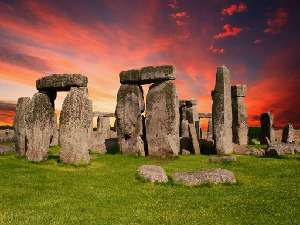 Tour is good with an interesting itinerary. A lot of opportunities to try Korean food. Excellent service from tour leader Li Hwa and John. Will return to Chan's World Holidays for another trip! The tour guide was very knowledgeable and friendly throughout. Thank you for making our trip a pleasant and enjoyable one.